Since Buddha Boy had to work OT, BabyE and I were on our own for lunch. After visiting DadT, we went for a stroll at Crystal Mall attempting to grab something quick and easy in the food court. Well, that did not happen. The food court was packed and I struggled to obtain a table. It's not as easy with a baby in carriage. 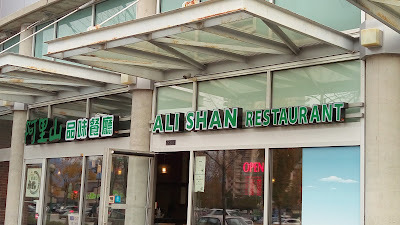 On my way out, Ali Shan Restaurant 阿里山品味餐廳 caught my attention since it was pretty empty. Buddha Boy and I have not returned since our visit in 2011, so why not try it again? After all, things could have improved in the past five years...right? Other than appetizers, snacks and desserts, most of the items on the food menu comes with complimentary house drink or house soup. 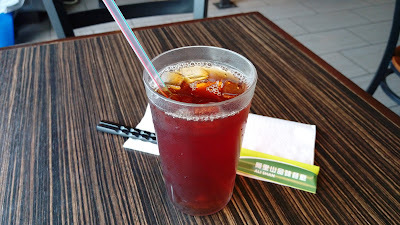 I had the Wheat Black Tea 古早味紅茶 as the complimentary drink to accompany my main course. The sweetened black tea was quite diluted. Was I expecting too much for a $7.50CAD meal? Google "阿里山鐵路便當" and you'd understand why. Anyhow, back to the food, which led to more disappointments. The pork chop was dry and hard to chew. The egg was cold. The rice was lukewarm. The cabbage was tepid. The ma-po tofu lacked spicy kick and was under-seasoned. 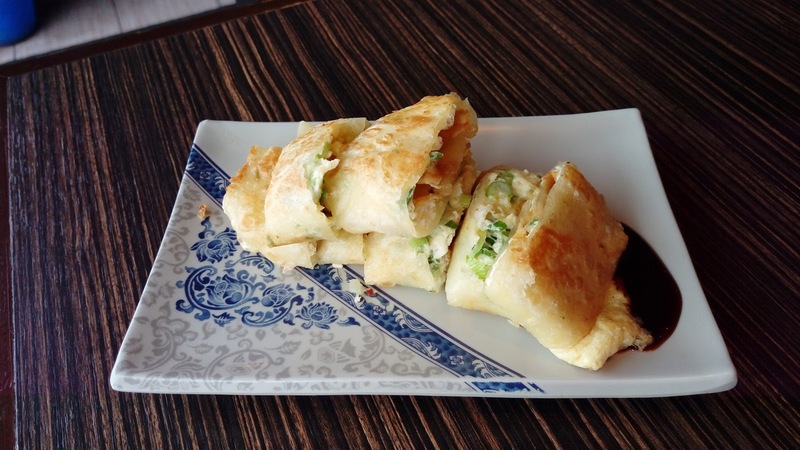 The Taiwanese Green Onion Pancake With Egg 蔥油蛋餅 had a crispy surface while sustaining the soft and chewy inner dough. 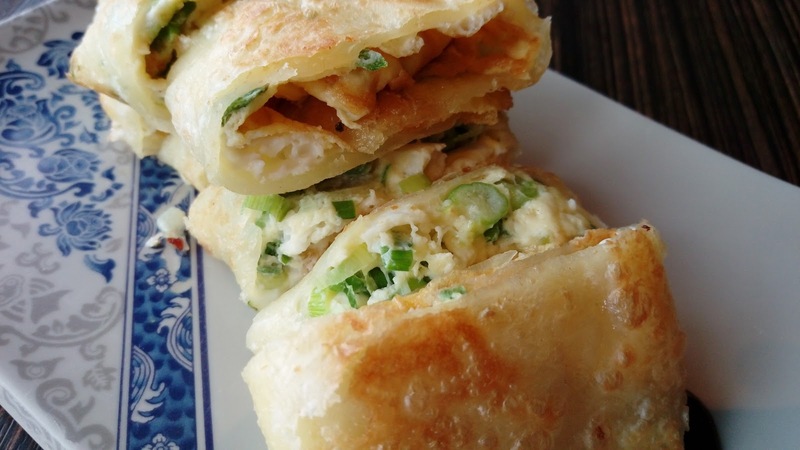 Ample amount of scallions in the egg filling. Unlike the previous disastrous bento, this was a delicious roll at $4.20CAD/order. 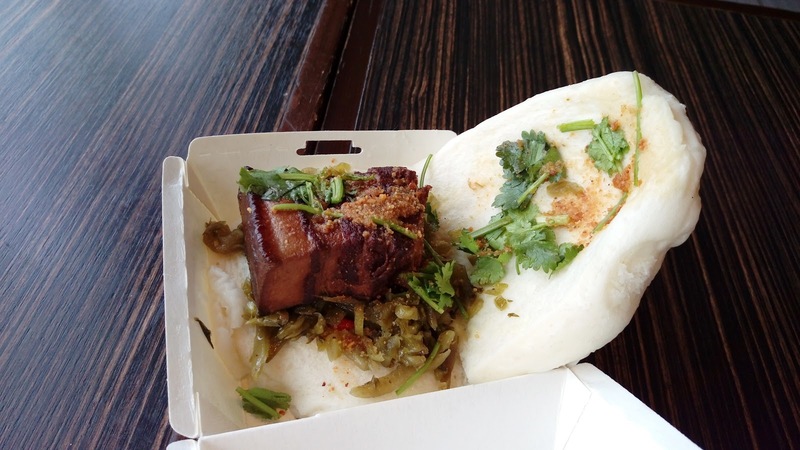 Not only the Taiwanese Pork Belly Gua Bao 原味刈包 was depressing, it was also expensive. Yes, this was $8.00CAD, even more expensive than the railroad box. 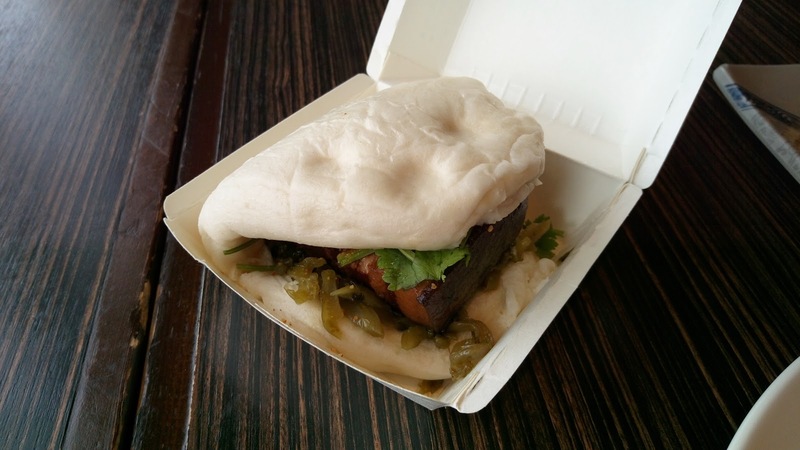 The bun itself was dense and doughy, hence when I gently pressed with my fingers, it did not resume back to its original state. The meat was a generous chunk with a larger ratio of pork fat. 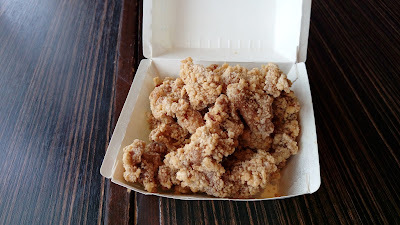 The meat tasted dull with only soy sauce and star anise acting as the flavoring agents. The sugared peanut powder, cilantro and Chinese sauerkraut didn't do the magic of adding savoriness to the whole package. 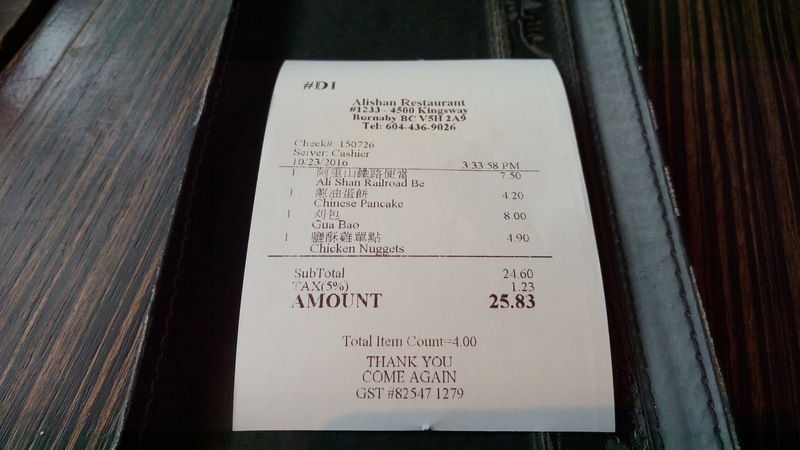 The Taiwanese Chicken Nuggets 鹽酥雞 was $4.90CAD/order. The thick coating of batter had an unpleasant taste of bad oil. This was overly salty with an unpleasant MSG sweetness. No basil. So, since our visit in 2011, any improvement? Nope. Anything changed for the better? Nope. Owner changed that cause their dishes changed too? Well, the food was not good back in 2011, and I believe that was under original ownership. I've been there twice and vowed to not go back. Food was just too meh to stand out, and their prices don't represent value for me. Re: salty peppery chicken .... I had REALLY good ones at Corner 23 recently. I was a bit surprised but sure didn't complain. 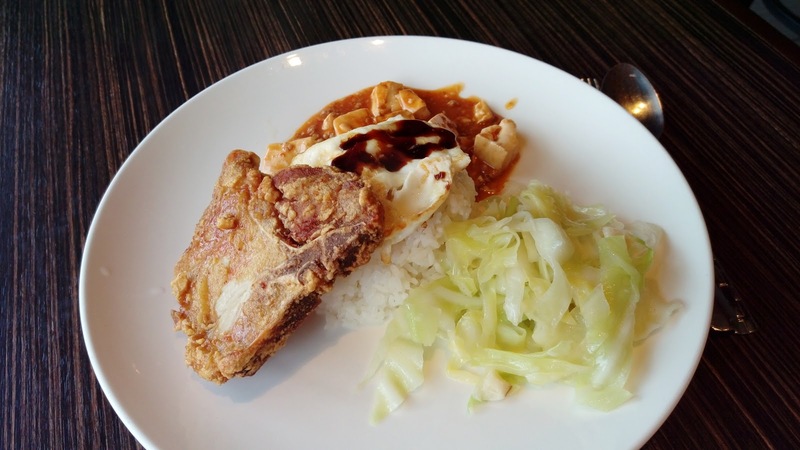 Crispy, fresh, super-juicy big chunks of chicken thigh meat. Decent 5-spice powder seasoning and basil present. My other faves for S&PC are Bubble World and The One (although BW can be inconsistent between locations). Good luck next time ! Yea... Honestly, nowadays, I have already tried not to be so picky about Taiwanese food in Vancouver, but this places was just plain bad. This place is really for people who DON'T KNOW MUCH about Taiwanese food...hahaha! Corner 23...I think we've been there once since it first opened but did not blog about it. I guess it's time to pay it another visit! Especially now that you mentioned about the salty peppery chicken...yum!